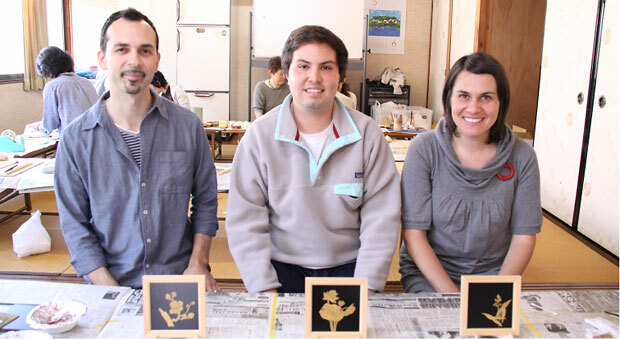 We will take you to the artisans’ workshops for a first-hand look at some of the ultimate forms of Japanese artistry. It’s a rare opportunity for a wonderful experience, so join us now to feel and touch the very essence of Japanese craftsmanship. 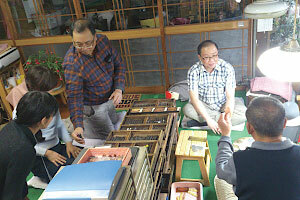 It’s also a terrific chance to converse with our craftsmen about the passion and technique they put into their work. You may request in advance the specific type of craft you would like to see on this tour (must be in advance). You will choose one from the 12 zodiac, the crane and the turtle. We prepare a sketch of the seasonal flowers. It is OK to draw free-handed favorite pictures. You can write your name and date. 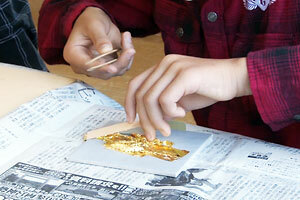 A mere 0.0001 milimetres in thickness, gold leaf is so delicate that it will fly away in a breeze. 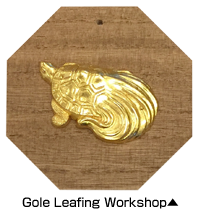 In our gold leafing workshop we only use real, fine gold leaf.In this workshop, you will apply gold leaf onto a copper plate ornament. 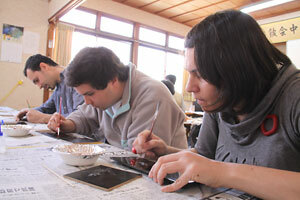 In this workshop we create makie (lit. 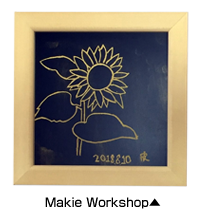 sprinkled picture) using a special brush to apply lacquer, and sprinkle gold powder on it just before it dries.After selecting a basic image to work from, you will sketch your design, apply the lacquer, then add gold powder coating by dabbing it onto the adhesive lacquer. 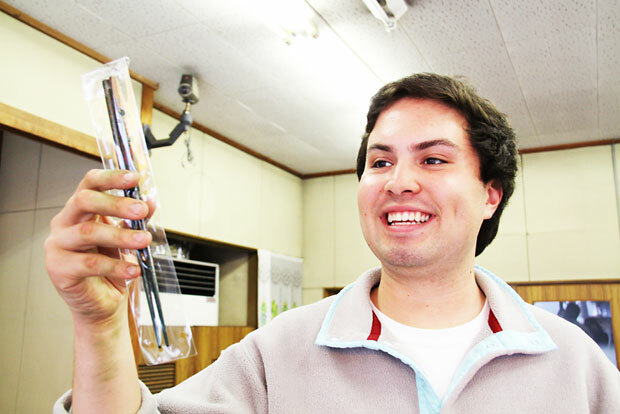 Take home your very own, original pair of chopsticks! 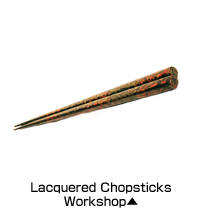 Polish a pair of lacquer-painted chopsticks with sandpaper. As the chopsticks are polished, the quality of the lacquer changes, and you can see the colours brighten before your eyes. 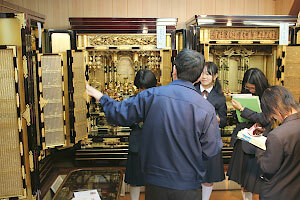 14:30～15:30 Workshop of your chosen craft (options: gold leafing, makie gold powdering, or lacquered chopsticks). 15:30～ Conclusion. If you have time, please join us afterward for some tea and friendly conversation. 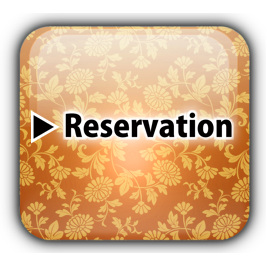 Note: For a group of 11 participants or more, please inquire about rates via the Contact Form.